KUALA LUMPUR: A Malaysia Airlines (MAS) flight attendant, who was caught trying to smuggle 3.5kg of heroin into Melbourne, Australia, in May last year, has been sentenced to five years and six months in prison. Fariq Aqbal Omar, 34, could be released in three years time on parole for good behaviour. 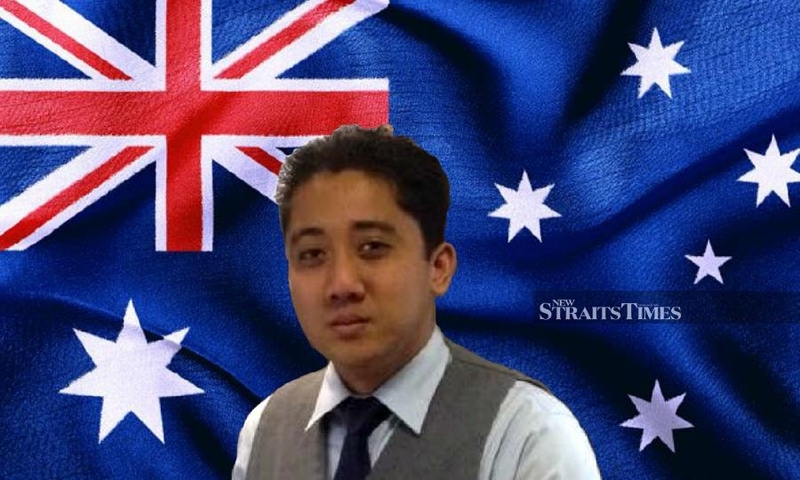 Australia’s ABC News, in its report, said the Victorian County Court was told that Fariq had carried the drugs onboard the flight from KL to Melbourne in May 2018 for a former colleague and another man, who promised to pay him AUD$500 (RM1,476). The court was told that Fariq was captured on CCTV walking through Melbourne Airport with his trouser pockets and vest bulging with 10 wrapped blocks of pure heroin. The flight attendant reportedly placed them in his suitcase in an airport bathroom before leaving the terminal and boarding a bus with other cabin crew. Australian Border Force officials had the crew return to the baggage area with their luggage, the court heard. Fariq took the drugs from his suitcase and tried to conceal them in his pockets before he was apprehended. He told police he believed the packages contained illegal tobacco or shisha. ABC News, in its report, quoted Judge Wendy Wilmoth as saying that it was hard to comprehend how Fariq had been lured into participating in the high-risk activity for such a small fee. The court was also told that Fariq had a wife and two children in Malaysia, and was regarded well professionally and socially before his arrest. “Your actions have resulted in a very significant fall for you. This is something you should have considered before the importation,” the judge was quoted as saying. His wife travelled to Melbourne for his plea hearing and sentencing, but the court heard she was unlikely to be able to afford to visit again before his release from prison. Meanwhile, his lawyer, Thomas Mathew from law firm Unite Legal, told the New Straits Times that his client would be assessed by the Victoria parole board in three years, and if deemed suitable for parole, could return to Malaysia by 2021. Mathew said his client was remorseful and admitted his wrongdoing. Mathew also noted that the punishment meted out against his client was the lowest of the range of offences of the kind. In Australia, the maximum punishment for importing border controlled drugs such as heroin and in commercial quantity is life imprisonment. “Our client, who was effectively utilised as a mule with minimal payment, had no knowledge of the syndicate’s operations and the offence itself was carried out in an incompetent and clumsy manner. “Due to his limited involvement in the syndicate and minimum knowledge of its operations, our client’s role was at the very lowest of the range of the offences of this kind. “Given his impeccable previous character, lack of prior offences in any country and the increased hardship that his imprisonment would involve due to the hardship his family are going through, the defence has sought the lowest sentence possible in the circumstances,” said Mathew, who noted that his client had been cooperative and honest since the start. The prison sentence will run from the date of his arrest — May 13, 2018.